Guelph Naturopathic Medical Clinic has two naturopaths with roughly 25 years of combined experience in treating heartburn and GERD. 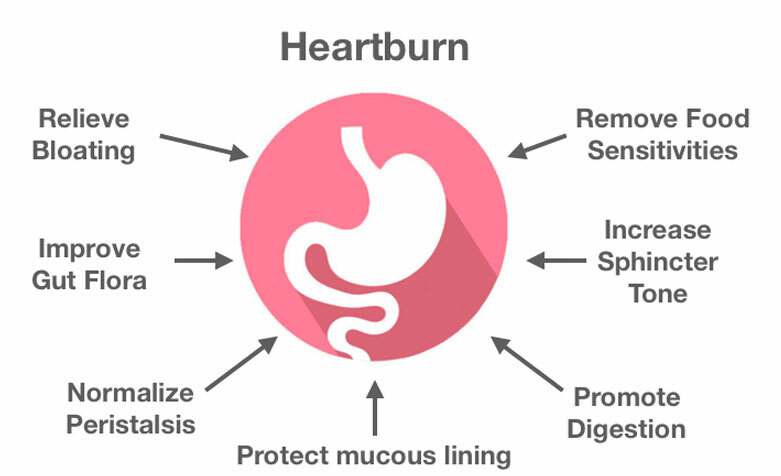 In fact, heartburn is one of the top condition that we see in our Guelph clinic. Remove food sensitivities – Food sensitivities (not to be confused with food allergies) are a common cause of heartburn. These food intolerances are usually caused by an immune reaction involving IgG antibodies that can be identified using a blood test. Elimination diets can also help identify the culprits. Promote digestion – Sluggish digestion can cause food to sit in the stomach and cause reflux of stomach acid into the esophagus. Certain herbs can help stimulate digestion and ensure the rapid breakdown and descent of food. Increase lower esophageal sphincter (LES) tone – The LES separates the stomach from the esophagus. If it does not close properly stomach contents can reflux into the esophagus causing gastroesophageal reflux disorder (GERD). Certain herbs help increase LES tone to reduce GERD. Eradicate infections – The bacteria H. pylori can cause stomach ulcers. H. pylori infections are sometimes resistant to antibiotics and an integrative approach with antimicrobial herbs may be required to eradicate the infection. Protect the stomach – The stomach makes mucous to protect it from stomach acid. If mucous production is disrupted then stomach acid can erode the tissues. Certain herbs can protect the stomach by supplementing or stimulating mucous production. Identify and remove drug cause – Some medications reduce mucous production or reduce LES tone. These medications should be identified and changed if possible. Decrease acid – Stomach acid is vital to digestive function, however, sometimes it needs to be suppressed so that ulcers can heal. Certain herbs have natural antacid properties that reduce stomach acidity. Manage stress – Although stress is not the primary cause of heartburn, it can aggravate and precipitate episodes. Stress management may help improve symptoms. Who can help relieve your heartburn? 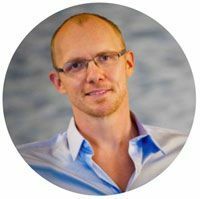 Dr. Matt Gowan is a naturopathic doctor with over 15 years of clinical experience. He has a special interest in digestive conditions including IBS, colitis, constipation, diarrhea, infantile colic, and heartburn. In addition, he is a professor, author, and researcher. Get help with your heartburn!